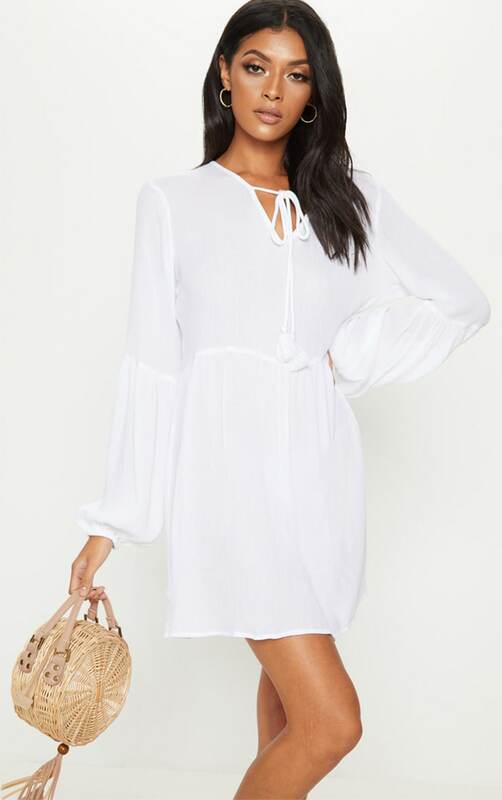 Girl this lightweight dress is perfect for the summer season girl. 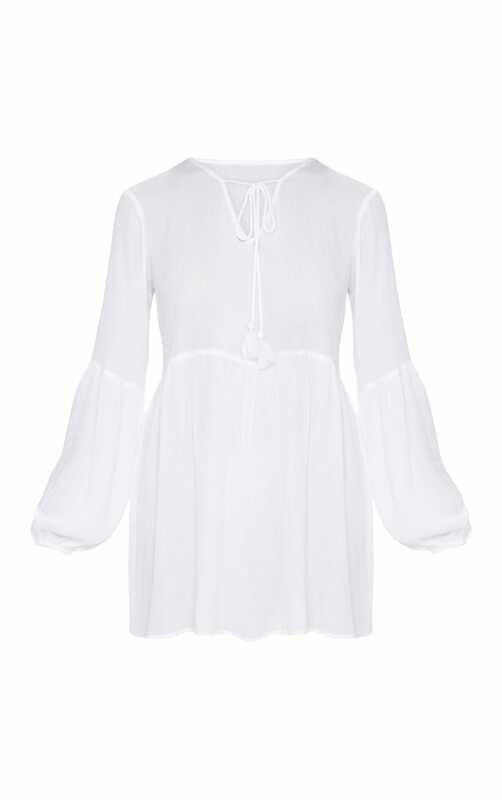 Featuring a white material with a tie detail, puff sleeves and a loose fit. Style this dress with sandals and a straw bag for an ultimate summer loving look.